The term EPHPHATHA, as it appears in the Seal of Gallaudet – …And the Truth Shall Set You Free. The term EPHPHATHA, as it appears in the Seal of Gallaudet University (see the picture) is strictly a Christian propaganda by putting it in our Deaf minds. 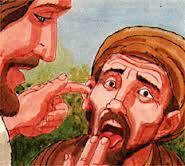 It was an Aramaic word used by Christ (Mark 7:31-37) who made a Deaf man to hear. EPHPHATHA means “Be (thou) opened”. The International Standard Version reads the prophecy (Isaiah 35:5): “Then the eyes of the blind will be opened, the ears of the deaf shall be stopped”. Mark 31-37 is a cross-reference, as if the prophecy was fulfilled. I do not know exactly why Gallaudet University has this “non-diversifying” term on its official seal. It is an evangelistic effort to impose such a Christian value on all degrees and diplomas? Even university class rings, too! When Gallaudet University changed its name from college, it changed the seal to make it university-like but let alone this Christian EPHPHATHA. Why? EPHPHATHA means loss of individual liberties, which are their “inalienable rights” of state of being Deaf. Audism needs to be rejected in their eyes and noting that it does led to an unacceptable loss of individual liberty. Gallaudet is flirting with monumental scale with tragic consequences. The whole point is that people who are in the direction to preserve their state of being Deaf should not give up in their own individual liberties. The administration has been seen as executive branch already abusing its authority and allows this word to be around. Deaf people should not sacrifice their freedoms for their ideological utopian dreams to heal the Deaf people into hearing-minded people. Why is the administration so focused on healing Deaf people? Their actions have caused mental and emotional scars that will last a lifetime. I am hereby submitting the proposal to the Gallaudet community to replace the EPHPHATHA on the seal to implore the creation of a stronger task force dedicated to improve Deaf people to heal from Audism. Deaf people have an unique set of barriers to access services when there is a power dynamics of Audism has committed at Gallaudet. The same university that does not have policy for Audism and the staff may lack a core cultural competence necessary for understanding the unique barriers faced by Deaf people whom I see as survivors. Due to their unique barriers, Deaf people under-report Audism perpetrated against them. The creation of task force to implement a comprehensive training for university staff will improve Deaf people’s access to their rights of being Deaf. The task force has a tremendous opportunity to shape and transform existing services for Deaf people into services that offer comprehensive support, safety and healing to survivors through medical, legal, and social advocacy. The faculty and administration need to become our important advocates as we the Deaf navigate the legal systems to obtain understanding orders and legal supports from Audism. Mental health can serve as community educators of Audism related to psychological, medical, and social issues faced by Deaf people and can promote healing. Where can best practices and culturally competent protocols be attained? Deafhood Foundation is an organization that offers technical training to stop the power dynamics of Audism. This is an absolutely slam dunk case of negligence. 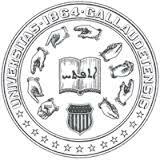 Next postWhat Does EPHPHATHA In The Seal of Gallaudet University Mean? Wow, it’s a huge insult to us. The reason I chose Gallaudet was to enjoy peace in the Deaf world, alas audism is everywhere. Gallaudet U is a federally chartered private university, so I think Federal gov’t may violate the U.S. Constitution by involving religion theme. Great blog! “I’m aware of Gallaudet’s seal having Ephphatha on it. I thought it was cool since Im aware the word doesn’t mean “Hear!” but “Be Opened!” like you said, like in Open Your Eyes! or Open Your Mind! However, I understand that some people interpret this to mean Gallaudet participates in the mentality of curing deafness because it’s a sin or wrong, etc. 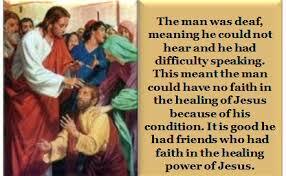 Ephphatha simply means “be opened” and the story of Jesus healing the person has the more important significance of being an allegory for opening the person to Christianity (opening mind, opening heart, etc). On the Gallaudet seal, however, I think Ephphatha has the more important meaning of opening yourself to learning. I also like that to sign ephphatha, you would be also signing “book,” which is also in the seal. All the same, if we want to update the seal, I am all for that. You want action, don’t go halfway on this. I do like much of the seal and would want to keep the fingerspelling and the opened book. With what would you suggest we replace “Ephphatha”? OK, thanks for sending me the information and I learned a lot about it! However, the origin of the term, EPHPHATHA has nothing to do with the opening of the mind. Now think about Muslims, Islam, Buddha, Hindu, Atheists, etc…do you think they will accept the view or are we start language war? We need to be careful not to impose Christian values. We need to think in diversity and the term, EPHPHATHA does not show to represent diversity which can be dangerous in the long term. It is just one word. Leave it alone. It is subject to 100 different interpretations. i didn’t even know it was there until you brought it up. One word? OK, you have no idea how much a single word can change overnight. A change of agent, remember? Hiccup, I agree with you. Google up Deaf and bible, you’ll get many negative verse about us and often lump us with other disabled in the same paragraph. Isaiah 29:18…In that day the deaf will hear the words of the scroll, and out of gloom and darkness the eyes of the blind will see. Isaiah 32:3…Then the eyes of those who see will no longer be closed, and the ears of those who hear will listen. It’s obviously that it’s audism. We can listen with eyes and some of us even understand Bible better than Hear people. What year the Ephphatha Seal set up in Gallaudet University? I’m not done with my yesterday art because I was too busy with Super Bowl, reading politics and working on my motif art “Ephphatha”. Still not done. I believe I have all the information–where I photocopied all the documents from Gallaudet Archives about EPHPHATHA somewhere in my blog. As I can remember, it was discussed in 1857 or 1858, I believe.